Taguchi, S., Y. Chiba, K. Hosokawa, and Y. Ogawa (2017), Horizontal profile of a moving red line cusp aurora, J. Geophys. Res. Space Physics, 122, doi: 10.1002/2016JA023115. Hosokawa, K., S. Taguchi, and Y. Ogawa (2016), Periodic creation of polar cap patches from auroral transients in the cusp, Journal of Geophysical Research Space Physics, 121, 5639-5652, doi:10.1002/2015JA022221. Hosokawa, K., S. Taguchi, and Y. Ogawa (2016), Edge of polar cap patches, Journal of Geophysical Research Space Physics, 121, 3410-3420, doi:10.1002/2015JA021960. Taguchi, S., K. Hosokawa, and Y. Ogawa (2015), Three-dimensional imaging of the plasma parameters of a moving cusp aurora, Journal of Atmospheric and Solar-Terrestrial Physics, 133, 98-110. Thomas, E. G., K. Hosokawa, J. Sakai, J. B. H. Baker, J. M. Ruohoniemi, S. Taguchi, K. Shiokawa, Y. Otsuka, A. J. Coster, J.-P. St.-Maurice, and K. A. McWilliams (2015), Multi-instrument, high-resolution imaging of polar cap patch transportation, Radio Science, 50, 904-915, doi:10.1002/2015RS005672. Taguchi, S., A. Tawara, M. R. Hairston, J. A. Slavin, G. Le, J. Matzka, and C. Stolle (2015), Response of reverse convection to fast IMF transitions, Journal of Geophysics Research Space Physics, 120, 4020–4037, doi:10.1002/2015JA021002. Taguchi, S., K. Hosokawa, and Y. Ogawa (2015), Investigating the particle precipitation of a moving cusp aurora using simultaneous observations from the ground and space, Progress in Earth and Planetary Science, 2:11, doi:10.1186/s40645-015-0044-7. Hosokawa, K., S. Taguchi, K. Shiokawa, Y. Otsuka, Y. Ogawa, M. Nicolls (2013), Global imaging of polar cap patches with dual airglow imagers, Geophysical Research Letters, doi:10.1002/2013GL058748. Ogawa Y., M. Sawatsubashi, S. Buchert, K. Hosokawa, S. Taguchi, S. Nozawa, S. Oyama, T. Tsuda, R. Fujii (2013), Relationship between auroral substorm and ion upflow in the nightside polar ionosphere, Journal of Geophysical Research, 118, 7426–7437, doi:10.1002/2013JA018965. Hosokawa, K., S. Taguchi, Y. Ogawa, J. Sakai (2013), Two-dimensional direct imaging of structuring of polar cap patches, Journal of Geophysical Research, 118, 6536–6543, doi:10.1002/jgra.50577. Sakai, J., S. Taguchi, K. Hosokawa, and Y. Ogawa (2013), Steep plasma depletion in dayside polar cap during a CME-driven magnetic storm, Journal of Geophysical Research, 118, 462–471, doi:10.1029/2012JA018138. Hosokawa, K., S. Taguchi, Y. Ogawa, T. Aoki (2013), Periodicities of polar cap patches, Journal of Geophysical Research, 118, 447-453, doi:10.1029/2012JA018165. Taguchi, S., K. Hosokawa, Y. Ogawa, T. Aoki, M. Taguchi (2012), Double bursts inside a poleward-moving auroral form in the cusp, Journal of Geophysical Research, 117, A12301, doi:10.1029/2012JA018150. Abe M., S. Taguchi, M. R. Collier, and T. E. Moore (2011), Two azimuthally separated regions of cusp ion injection observed via energetic neutral atoms, Journal of Geophysical Research, 116, A10225, doi:10.1029/2011JA016778. Koshida, T., T. Shibata, S. Taguchi, and H. Misawa, Characteristics of Jovian ionospheric Alfvén resonator observed by using wave modulations of L-burst emissions (2010), Journal of Geophysical Research, 115, A12213, doi:10.1029/2010JA016065. Taguchi, S., K. Hosokawa, S. Suzuki, A. Tawara, H. U. Frey, J. Matzka, A. S. Yukimatu, and N. Sato (2010), Plasma flow during the brightening of proton aurora in the cusp, Journal of Geophysical Research, 115, A10308, doi:10.1029/2010JA015535. Taguchi, S., K. Hosokawa, S. Suzuki, A. S. Yukimatu, and N. Sato (2010), Initial development of HF radar polar patch caused by azimuthal flow burst in the cusp, Journal of Geophysical Research, 115, A05305, doi:10.1029/2009JA014631. 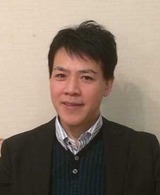 Prof. Satoshi Taguchi is Professor of Space Physics. His current research interests are (1) the dynamical coupling between the solar wind and dayside magnetosphere, (2) the global characteristics of the ionospheric convection system, and (3) the mesoscale interaction of the ionosphere and neutral atmosphere. He was born in Kyoto, and educated in space physics at Department of Geophysics, Kyoto University. After obtaining his phD in 1992, he worked at University of Electro-Communications (in Tokyo), and at NASA/GSFC (in Maryland, US). In April 2014 he moved to Kyoto University from UEC.